Brit-Lube now uses and supplies the Award Winning Ezi-Action® Pumps made by The New Zealand Pump Company. The Ezi-Action® pumps improve efficiency and help customers take chemicals from their drums and containers safely and conveniently. The pumps are made from FDA compliant polypropylene and low density polyethelene, meaning they can be used with confidence where food contact occurs. The Ezi-Action® range consists of Plastic Drum Pumps, Hand Pumps and IBC Pumps. Brit-Lube has recently supplied materials free of charge to Headway, as part of our continued commitment to good causes. Headway is a charity set up to give help and support to people affected by brain injury. The products we supplied such as Food-Safe Plus Grease and Food-Lube Aerosols are being used on chair-lifts for disabled adults. Please visit Headway's website for more information and to see if there is anything you can do to help! 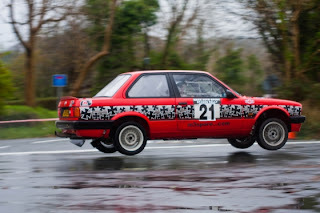 Brit-Lube's sponsors Bruvs Motors, who once again enjoyed a wet and windy weekend on the roads of The Isle of Man. After initial problems with a handbrake fluid leak which could of resulted in retirement before even starting, they raced home at the Manx Rally finishing 2nd in class and winning the overseas trophy! 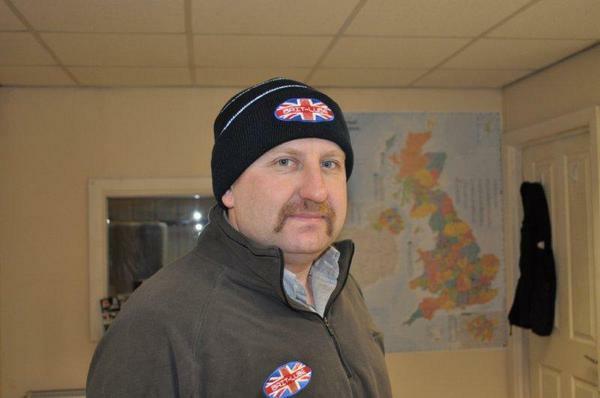 The Brit-Lube directors have once again participated in raising money for Movember. Movember is an organisation that raises money and supports prostate cancer and testicular cancer initiatives such as: The Prostate Cancer Charity, The Institute Of Cancer Research and the Movember Foundation. For those who are not aware of Movember, the idea is to raise money by growing a moustache throughout November without being able to shave! Here is a picture of Gavin and last years fund-raising moustache!